first year of the Primary class along with a lot of material from the second year. suggest that even if your child is a bit older, you include this album in your purchase. through each step of the exercise. classroom setting or in a home-based setup. 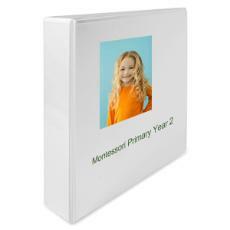 parts of the Montessori curriculum for young children, ranging from Reading preparation to Math. What is a noun? How can you teach beginning grammar at home?